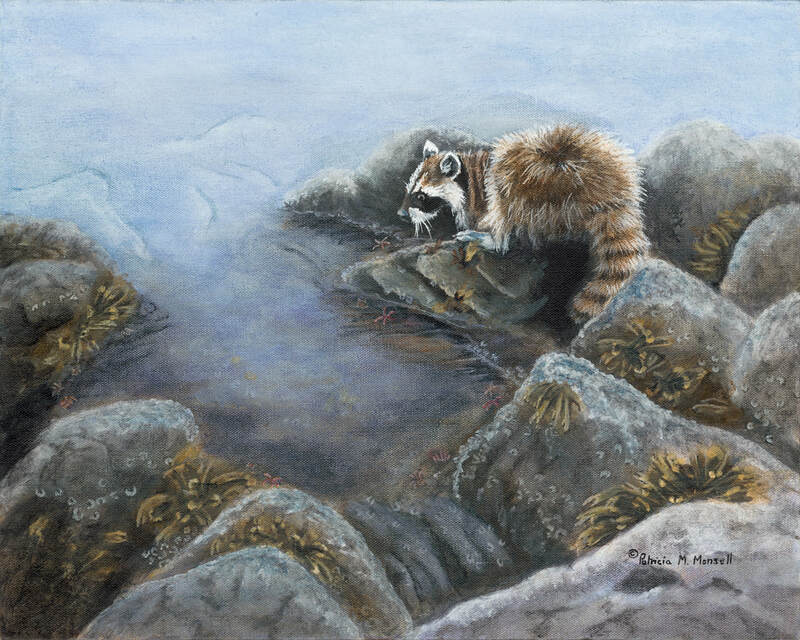 ​"I was captivated one summer by this Raccoon that lived down at the water's edge by the ferry line up in Seattle. He came up to the fence as the people were waiting for the ferry and walk along begging for food. At the shore he would find plenty to eat as the retreating tide revealed his menu choices. It also gave him various species of star fish to gaze at."